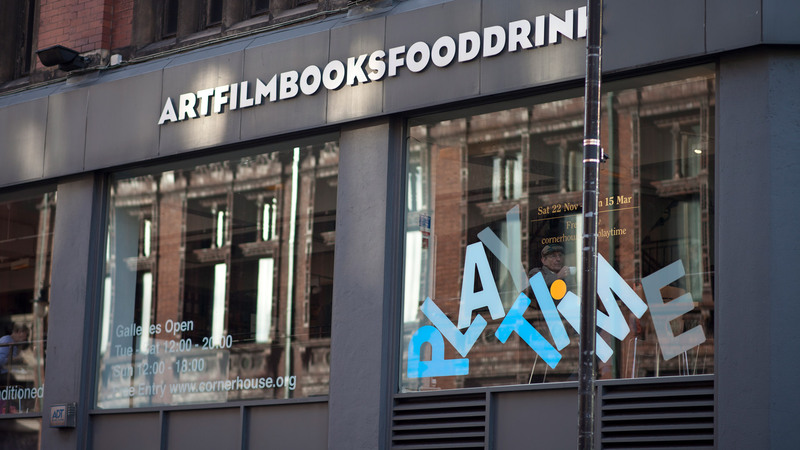 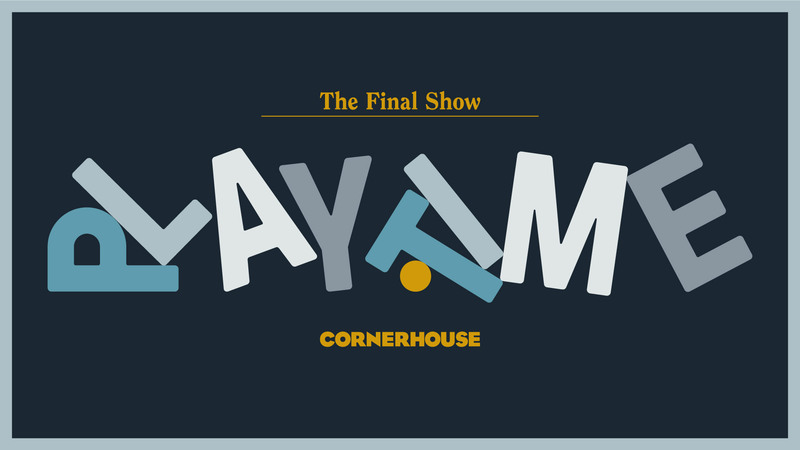 Playtime was the final ever exhibition to be held at Manchester’s iconic Cornerhouse before the organisation’s move to the ‘HOME’ building as part of its merger with The Library Theatre Company. 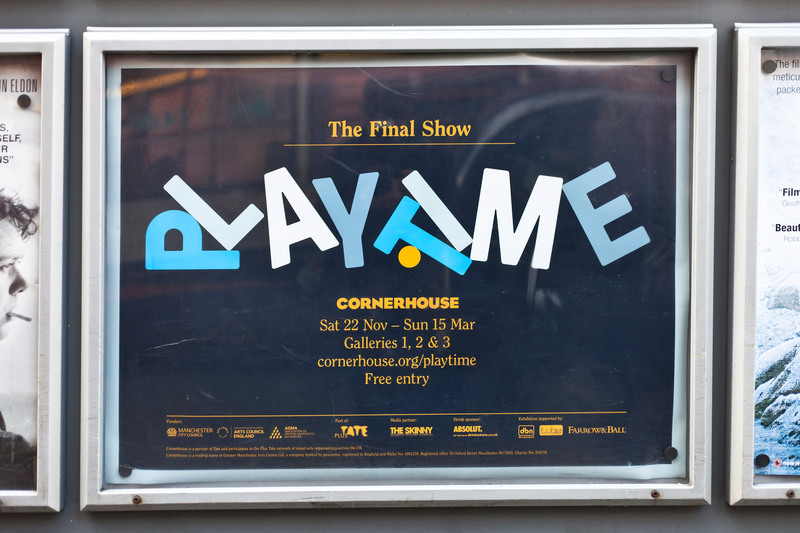 The exhibition saw nine artists present playful work inspired by the Cornerhouse building and Jaques Tati’s 1967 comedy film, Playtime. 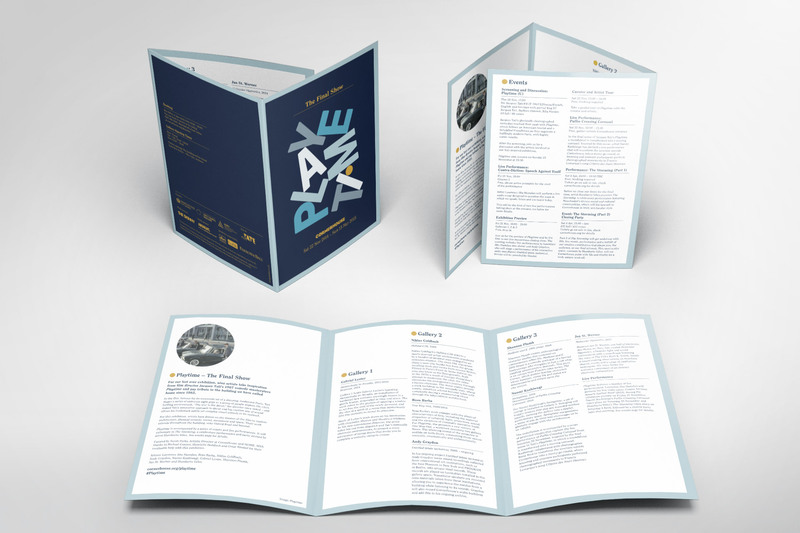 We worked with the team to create a playful commemorative identity for the exhibition that could bend and shape across many formats, both online and offline. 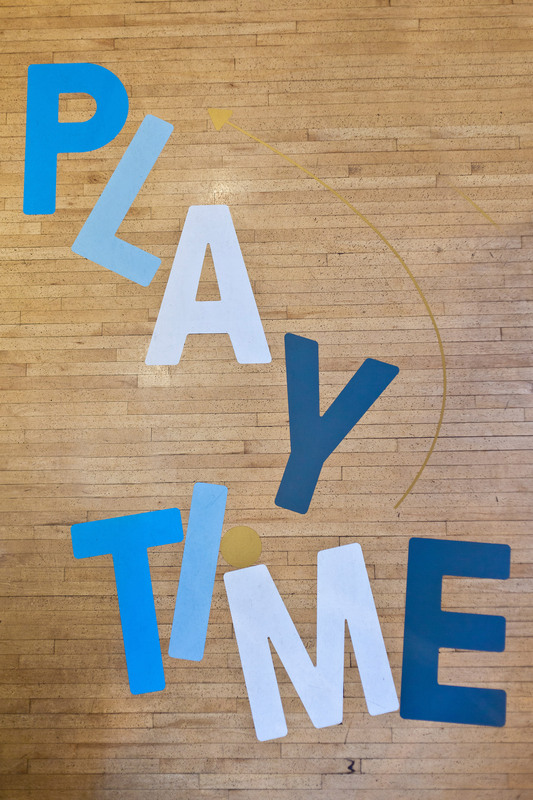 Using the exhibition title, Playtime, we created a dynamic and adaptable word mark that forms the main part of the identity. 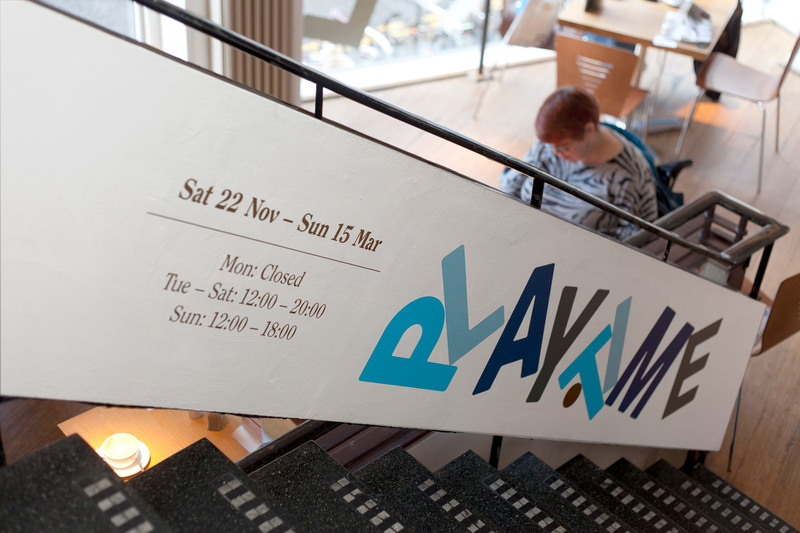 The word mark flexes to its surroundings, with nine elements that each relate to the exhibition’s nine artists. 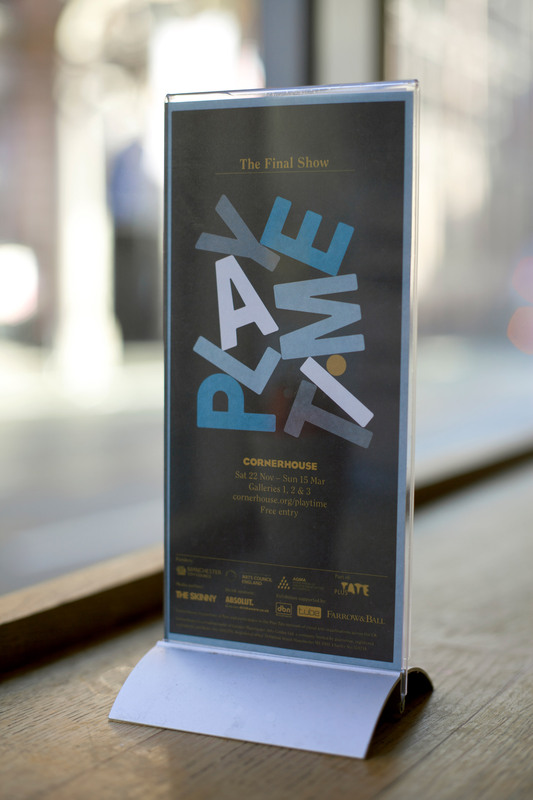 The colour palette was inspired by the film Playtime and this was then applied to the typeface which made its way across gallery guides, posters, gallery vinyls, cinema holding slides, invites and flyers.